Step inside this small park, and you’ll find yourself immersed within the inspiring story of one remarkable 19th-century Los Angeles resident. 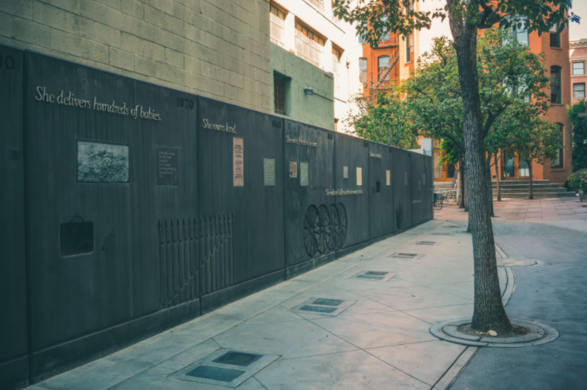 An enormous wall acts as a timeline, detailing the history of a woman who, after spending nearly half her life in slavery, used her freedom to transform the burgeoning city for the better. 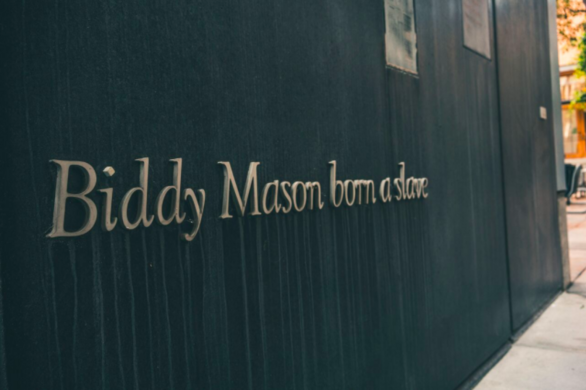 Bridget “Biddy” Mason was born a slave in 19th-century America. The family she served, the Smiths, were rather restless, bouncing around from state to state before winding up in California. 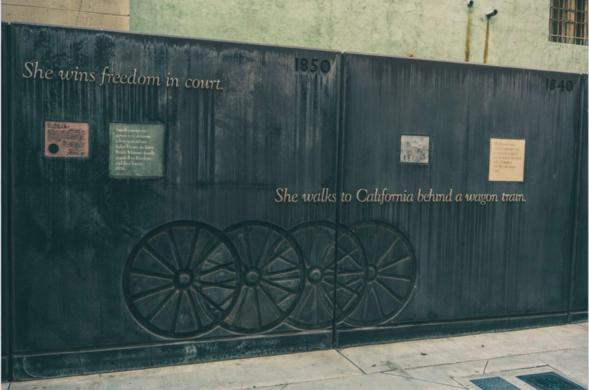 As soon as Biddy and her kids entered California, they were legally considered free people. However, the Smiths ignored their freedom. Biddy and her kids remained under their control until their patriarch, nervous the aftermath of the Civil War would cost him his slaves, decided to uproot the family once again and head to Texas, which had stricter pro-slavery laws. Thankfully, Biddy was able to escape and successfully argued for her freedom—and the freedom of her children and the Smith family’s other slaves—in a judge’s private chambers, as she was forbidden from testifying against a white man in court. Once freed, Biddy was able to purchase her own plot of land on what was then the outskirts of Los Angeles. Affectionately called “Aunt Biddy,” she became a beloved presence within the fledgling community. 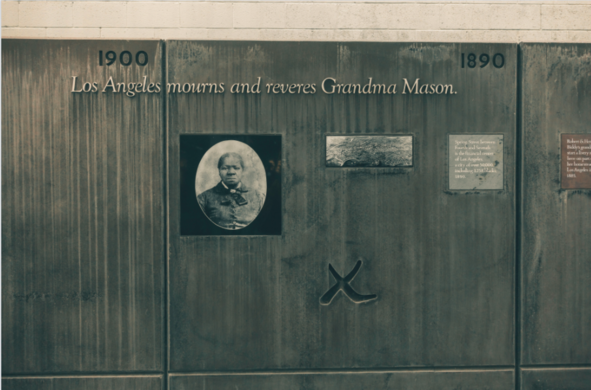 Early meetings for LA’s First African Methodist Episcopal Church took place within her home. She worked as a nurse and midwife, ran a small daycare from her house, and fed and sheltered the poor. Business savvy as she was kind, Biddy also amassed a fortune of $300,000 (equivalent to roughly $6 million today), which she generously shared with various charities. Today, a small park built in her honor offers a brief respite from the bustle of downtown LA. There, a gorgeous monument full of artwork, inscriptions, and embedded objects tells the story of this incredible woman. Located within a historic park, the beacon is the oldest standing structure in Miami.